Your new hand painted art print? This wall picture Painting "Concrete Jungle" 180x60cm is a hand painted, not an art print. 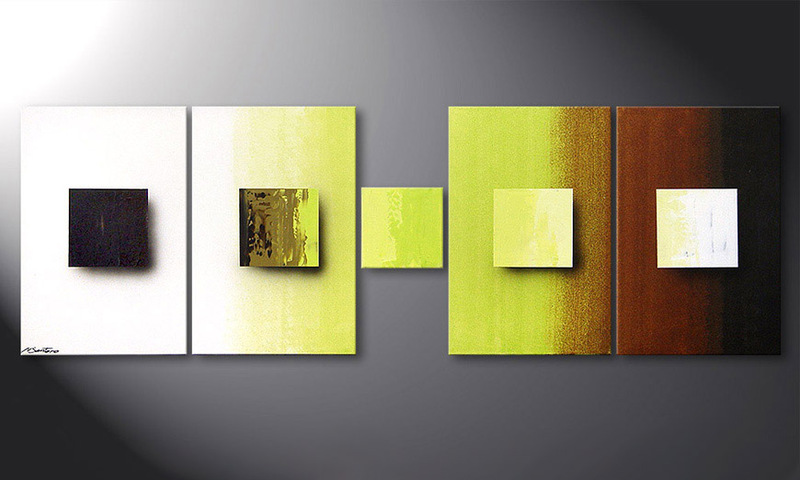 It consists of 5 panels with a width of 180 cm (without spaces). Green-yellow, Brown are the main colours of this picture.